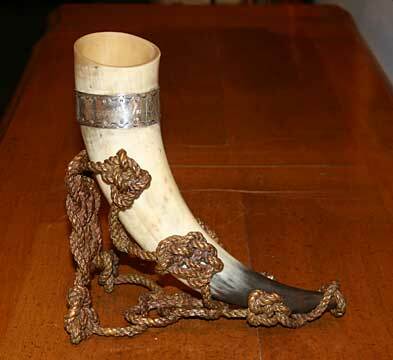 John Harriman asked me to make a stand for a drinking horn he had been given as a gift from a friend of his. We discussed different ways of making such a thing, and came up with the idea of something like a Celtic knot theme for it. Great concept, but the execution proved to be a lot more difficult than I at first thought. After a series of failures concerning the size of the rope, and other factors I finally did come up with something I was happy with, and below you will see the original model with the rope, knots, and wax bracing to hold it rigid. 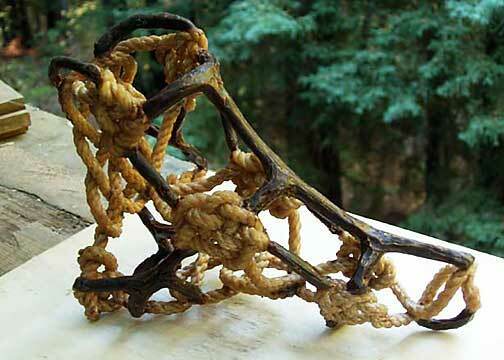 The wax model was then taken to the Monterey Bay Sculpture Center to be cast into bronze. Due to the process there is shrinkage involved, and so that had to be compensated for before it was cast, which, in this case was a challenge in itself. At the foundry they said they didn't know if something like this could even be cast, but they did take it and about a month later I got back the raw casting which is pictured below. 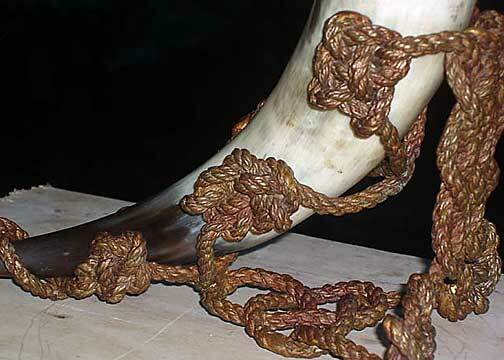 As you can see in the picture below there are still chunks of bronze left where the bracing was clipped off. 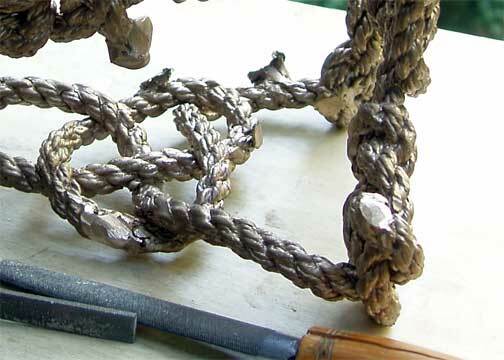 All of this had to be cleaned up and filed and sanded so that it looked like one continuous set of knots and rope, which was a very tedious and time consuming chore, as much of a challenge and work as making the original model. 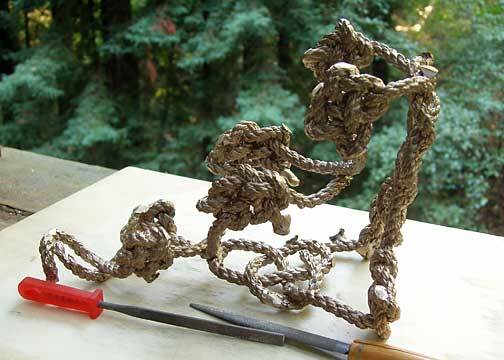 So, the next step was to apply a patina to the stand, and I chose to use ferric nitrate and heat it until it took on a reddish brown, chestnut color, and here's how it came out, showing more detail in the knots.